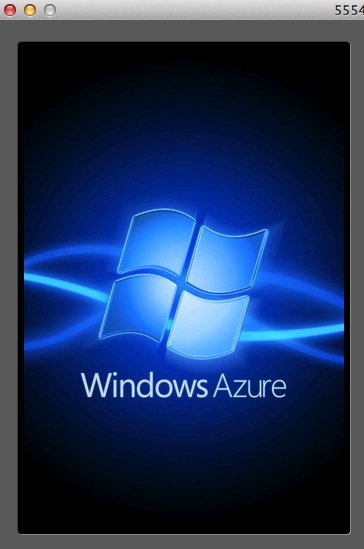 Today we’re going to wrap up our first Android client that connects to WIndows Azure Websites. If you’ve been following along, then as of now we have an app that displays a list of shortened URL slugs and will allow the user to tap in to see more details on them. 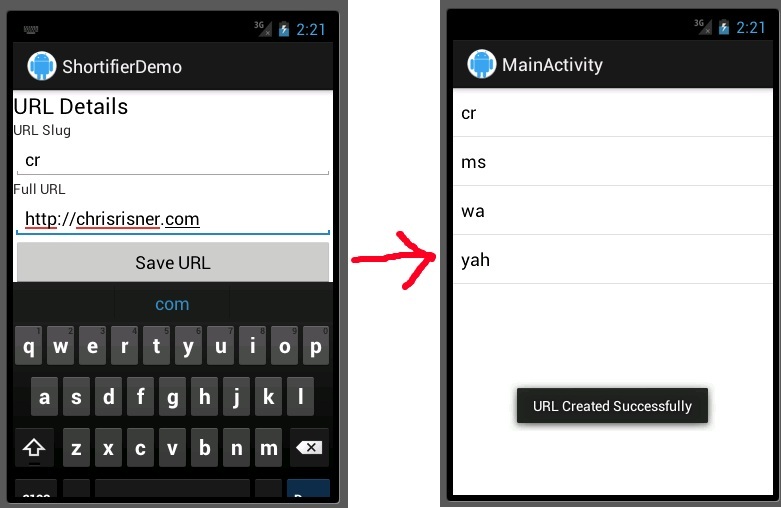 Today we’re going to complete our app by giving the user the ability to add new shortened URLs from the app. You can download the code we left off with in part 7 here. We need a reference to the calling activity later on, so our constructor takes that in. The stuff to the left of the extends AsyncTask dictates how the header for the doInBackground method will look. Here we’re saying that it will take in and return a String. Log.e("UrlDetailsActivity", "Error creating JSON object: "
"There was an error creating the Shorty URL(1): "
Here, if things were successful, we show a toast to let the user know that and then finish the activity with the requestCode we used earlier (1). Finally, if it wasn’t a success, we show a toast with a different message and don’t finish. And that does it, our client is complete. There is a lot of room for improvement in this app. We’re not doing any validation on the URL slug or the full URL so the user could easily enter something that wouldn’t be valid on the server side (remember the web service runs a regex against the full URL to make sure it’s valid). There isn’t anyway to refresh the URLs on the list view (you could easily do this from another menu option if you wanted). However, the core functionality and integration with our Windows Azure Website is there. 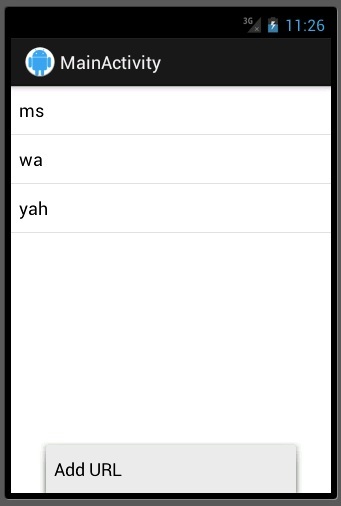 You can download the completed code from our Android client here.